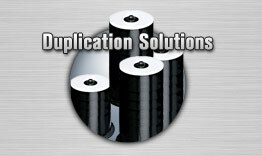 Alamo DVD Solutions specializes in converting, transferring, duplicating media to DVD in Texas. Imagine sharing that special occasion on the BIG SCREEN with family and friends at your big event, watch your photographs on TV! Get your most precious pictures out of the shoeboxes, closets, and drawers. Add special video moments to your package, organize them on DVD and preserve them for a lifetime to share with your friends and family. We create themed DVD Photo Albums using your selected photos in the order that you choose. DVD Photo Albums are slide show presentations of your pictures, with themed background music. Each picture will remain on screen for 3-5 seconds, and you can pause at any time at a particular photo. Your photos will now last forever! Hurry!! And let us create your Masterpiece! Save your fading photograph collection and let us create a DVD photo album. Get your photo albums out of the closets, let us scan your precious photos and archive them to DVD for many generations to enjoy. Our DVD archive process will transfer your video to high quality, long lasting DVD. 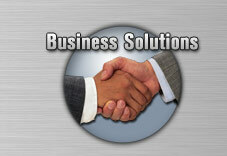 Our professional transfer equipment will automatically create “chapter points” every 3 minutes. Just press the next or previous button on your remote and you can jump forward or back in 3 minute segments. This archive transfer process is perfect for less important video tapes or other documentation. And, it will last a lifetime. Comes with standard DVD label and DVD Case. No more fast forwarding or rewinding! Film deteriorates over time and without transferring the film to DVD, they may be lost forever. Our DVD experts will take your 8mm and Super 8mm film and transfer them to DVD using state of the art equipment and processes. thumbnail index menu makes it a snap to find the scene you are looking for. 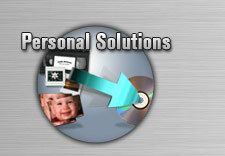 We can transfer your digital photos on DVD or CD. Clean up your hard drive with all of those digital photos clogging valuable space. Bring us your camera’s memory card or a CD-ROM. Our Digital Photo Albums can also be themed and put to music.